Information The BCGN offers all citizens in Bridgewater the potential to grow their own healthy food within their neighbourhoods, thus increasing food security, self-reliance and sustainability. Through shared experiences involving gardening, food and celebration, Bridgewater’s social capital is increased. The individual, intergenerational and intra-community relationships are nurtured through these activities. The BCGN provides ways for the community to get hands-on education and experiences in gardening, food production, and related activities and achieves these outcomes by working according to its Core Values and the goals and principles of the Integrated Community Sustainability Plan. We have our beloved first project, the Hodge Podge Community Garden, at the corner of Elm & Aberdeen in the Aberdeen Green Park. New gardeners always welcome. Interested in being involved? Please be in touch! Next, we have our Incredible Edible Bridgewater (IEB) group supported beds. This will be the 4th year for this initiative. You will notice these gardens in front of Churches, businesses, the hospital, Girl Guides, the Library, the Marina, MODL, the Dawson Centre and at several apartment buildings. We are seeking others to create a garden at their place of work, group or office. Please connect with us to learn more. Lighthouse Media Group Incredible Edible 2012 from Lighthouse Media Group on Vimeo. And thirdly, we have the Edible Trees Bridgewater (ETB). Year #3 for this one. 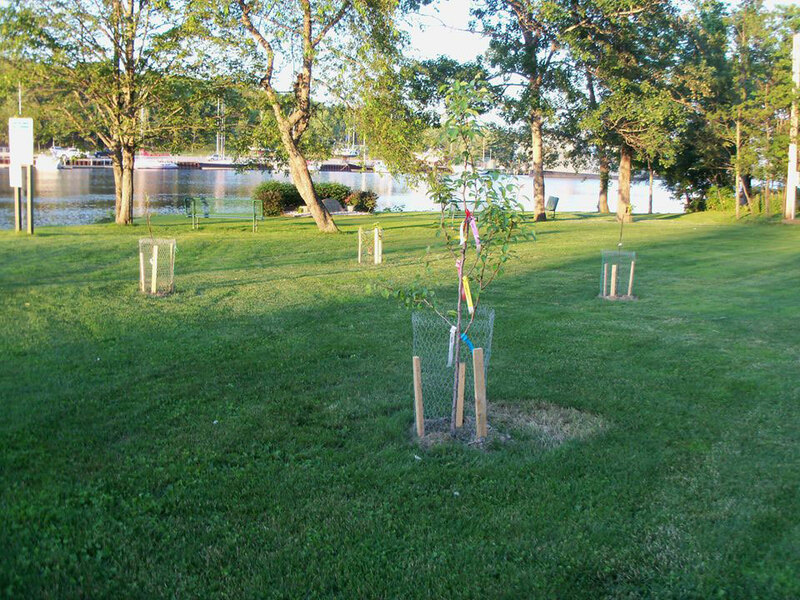 We encourage folks to support the care, maintenance and harvest of these edible fruit and nut trees in 4 of our town parks as well as Brookside Cemetery. Our latest project is The Bees' Needs Pollinator Garden located at the bottom of the hill in Aberdeen Green Park. Food production is being threatened by the destruction of bees and other creatures that pollinate plants. This garden is our effort to educate the public on the need to reverse the effects of pesticides, invasive species and habitat destruction. Our pollinator garden provides pollination services to the Hodge Podge garden and the adjacent property owners. All of these initiatives are supported by the Town of Bridgewater and are the result of Volunteers, and local businesses partnering to make our community more vibrant, inclusive and Edible. We encourage you to participate in one or many projects this year. You’ll learn from local experts and gain valuable skills, make some friends, and best of all, strengthen our community. We are seeking new members for various committees and core team activities.